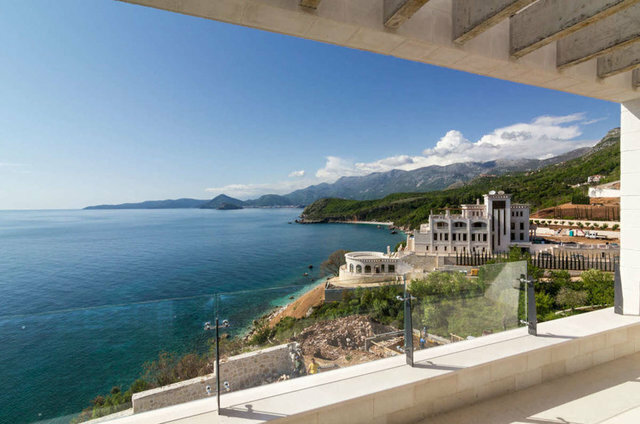 Oceanfront Villa One in Rezevici, Montenegro is in the heart of Rezevici, with easy access to all of the wonderful surrounding benefits of the region. It consists of 4 floors. The lowest level is consisted of two separate garages. On top terrace are two guest rooms. Third level is the ground level which is spacious entrance, living room, dining room, kitchen, bathroom and the stairs that lead us to first floor. On the first floor you can find one master bedroom with it's own bathroom and office and one more bedroom with a dedicated bathroom.Total area of the villa is 300 square meters.